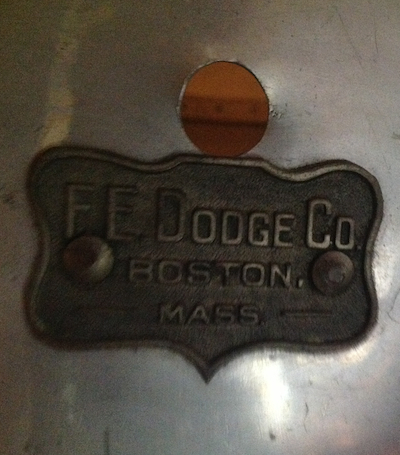 From Jim Davey in Norfolk, Massachusetts come photos of a turn of the century timpano by the F. E. Dodge Company. The pair of drums, one of which is shown here, was acquired several years ago at a large outdoor antique show in New England and now sees regular use with Southeastern Massachusetts Community Concert Band. Of note is that the drums are constructed around "Silver-Aluminum Bell-Metal Seamless Kettles". This is unusual in that timpani are traditionally built around copper bowls. The tuning system on these Dodge drums is also somewhat unusual as the handles used to tension the heads pull against metal bands which stretch fully around the outside of the shell and connect at the bottom of the drum. More conventional designs apply tension to brackets attached to the side of the kettles. 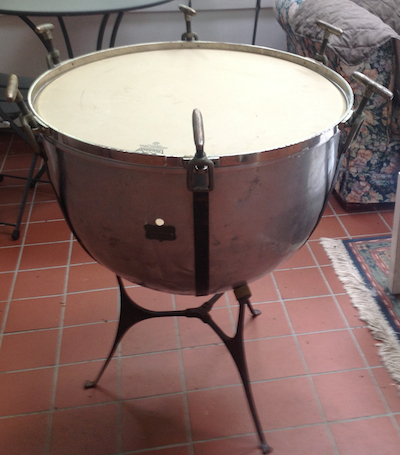 The heads, I am told, originally were tucked directly onto the counterhoops as is the case with many antique timpani. However, to more easily facilitate modern performance applications, plastic heads have now been fitted onto the drum. The badge affixed to the drum is not one I have come across before. Perhaps it is of an earlier design and or a badge used exclusively for large instruments such as timpani. The drums rest on a simple three legged cradle and would have been suitable for use with theater orchestras or larger performing ensembles of the day. 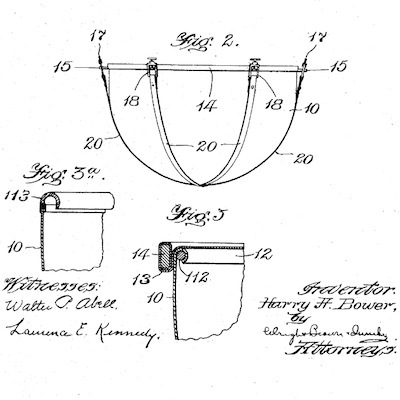 The drums were modeled around a patented design by Harry A. Bower. 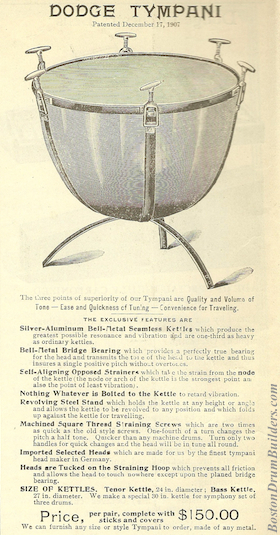 Timpani illustrated in the 1907 Dodge Catalog are of a more common design. The catalog page seen at right is taken from Nokes & Nicolai American Drummer no. 5, circa 1914. Nokes & Nicolai succeeded the Dodge Company in 1912 and continued to produce and market many of Dodge's products under their original names. 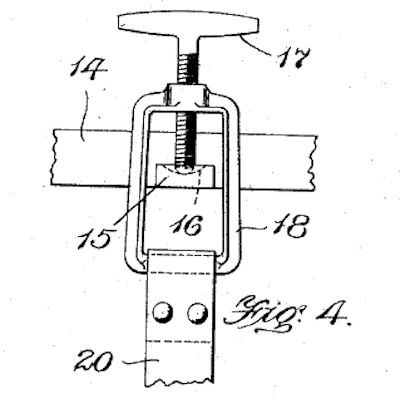 Do you have a percussion instrument made by the F. E. Dodge Company? I want to hear from you! Send Lee an email at lee@vinson.net.